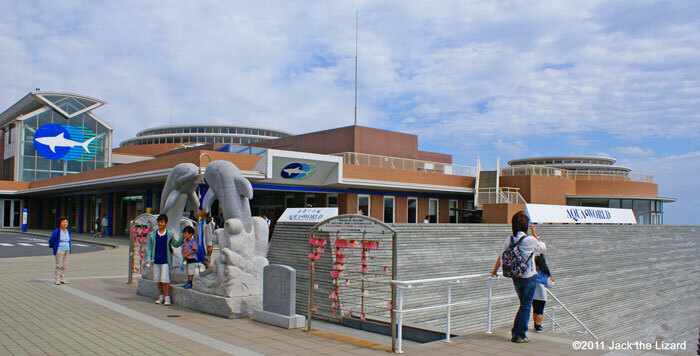 Many people visit Oarai aquarium to see sharks in which the aquarium specialize, but why sharks? Fishery is one of the major industries in Oarai town. Cold current, Oyashio runs into warm current, Kuroshio offshore Oarai. This event leads an abundance of plankton that attracts all kinds of fish such as halibut, mackerel, sardine and sharks. With local fisherman’s help the aquarium have been collecting several sorts of sharks and breeding them for over 10 years. Most of sharks that the aquarium rears and breeds live in the bottom of sea. Those sharks are scarcely seen by people because they usually hide behind rocks or stay underneath sand. So it is good opportunity for visitor to see those sharks at the aquarium. Let's go to "Understanding Shark" in the category of Animal and Dinosaurus! !